Potential for SunGold kiwifruit orchard development in Northland is expected to increase the region's export earnings. Northland kiwifruit earnings will more than double to $72 million and the number of jobs in the region's kiwifruit industry is expected to increase from 380 to 886 by 2030. 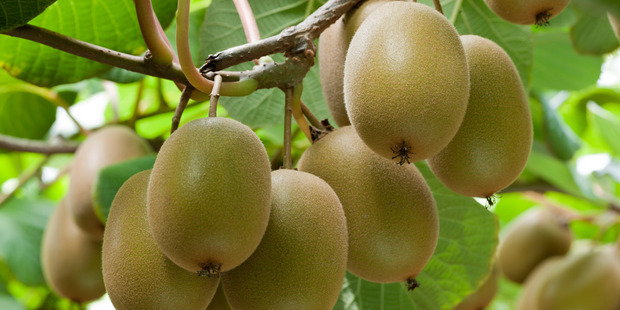 This forecast by the University of Waikato is included in an ANZ Kiwifruit Insights paper predicting major growth in the New Zealand kiwifruit sector which last season achieved record sales worth $2.26 billion which Zespri aims to grow to $4.5 billion by 2025. Kiwifruit has bounced back from the PSA crisis with a record 137.7 million trays produced in the 2016-17 season, 18 per cent more than the previous year. Bay of Plenty has 86 per cent of New Zealand's green kiwifruit orchards (Northland 1 per cent) and 76 per cent of the SunGold orchards (Northland 5 per cent). The ANZ paper says strong global demand for New Zealand kiwifruit has increased orchard valuations. Bay of Plenty valuations have in some cases doubled from 2010 pre-PSA levels, with green orchards now in the $300,000-$450,000/ha range and SunGold orchards in the $700,000-$1 million a hectare range. Diminishing available land in Bay of Plenty creates an opportunity for orchard development in Northland, Gisborne and Hawke's Bay. With its already established grower network, subtropical climate and wide diversity of soils, the ANZ paper says industry participants consider Northland an area with strong growth potential which would suit the SunGold variety. Zespri intends to release 750ha of SunGold licences this year and a further 3000ha over the next four years. This includes 250ha of organic SunGold, with 50ha scheduled for release this year. Zespri is forecasting orchard gate returns of $57,000/ha for green and $112,000/ha for SunGold in the 2017-18 season. However, direct growing costs have increased over the past two years with average green and SunGold costs per canopy hectare at $32,000/ha and $37,000/ha respectively. The difference is driven primarily by wages, where the higher fruit yield and maintenance requirement for SunGold has a higher cost structure. Jobs in the kiwifruit sector are expected to increase from 380 to 886 by 2030. The ANZ paper says wages per canopy hectare are on the increase with the Government pledge to increase the minimum wage by 27 per cent from $15.75 an hour at present to $20 an hour by 2021 expected to have a financial impact on most orchards. The ANZ paper also looks at the large amount of capital required to develop a significantly higher level of kiwifruit production, assuming land suitable for SunGold would cost $125,000/ha and a SunGold licence cost of $250,000. "In addition we assume capital investment of $100,000/ha to develop orchard infrastructure and a further $100,000/ha to meet growing costs before the SunGold vines reach full maturity at four to five years," the ANZ paper says.